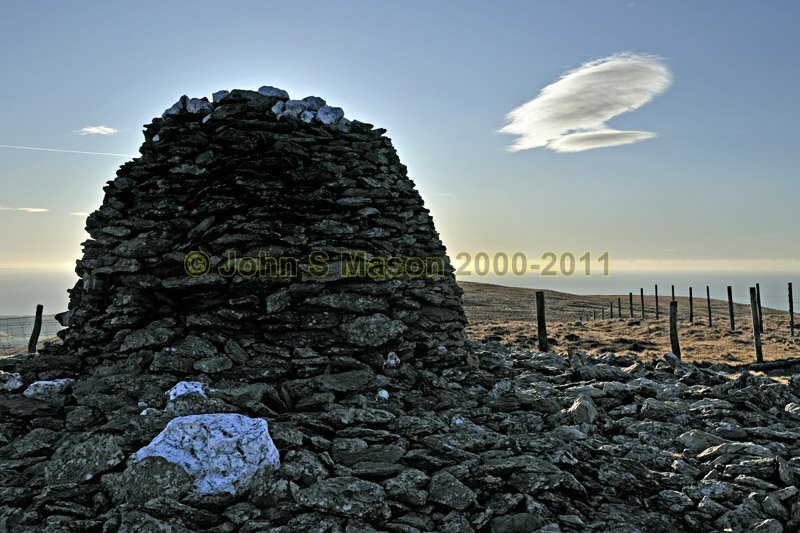 The Tarennau: Ancient (Bronze Age) cairn - one of two, on Trum Gelli, plus lenticular cloud. Product number 021038a. Email me to enquire about this image: click HERE.